I had an absolute blast being interviewed by Two Gay Geeks on their podcast. Listen to me talk about THE LAST SUN, world-building, research, and how my sense of outlining is likely to get me committed one day. https://tggeeks.com/blog/2018/05/07/tg-geeks-webcast-episode-168/. And I don't care what they say, they really do sound like radio gods. A few times I forgot what I wanted to say, because it was just so interesting hearing them talk! Book #2 in The Tarot Sequence has been revealed! THE HANGED MAN's cover was also designed by the inexpressibly brilliant, brilliant Micah Epstein (micahepsteinart.com). See both covers side-by-side here: https://twitter.com/KDEdwards_NC/status/988502598192914432. 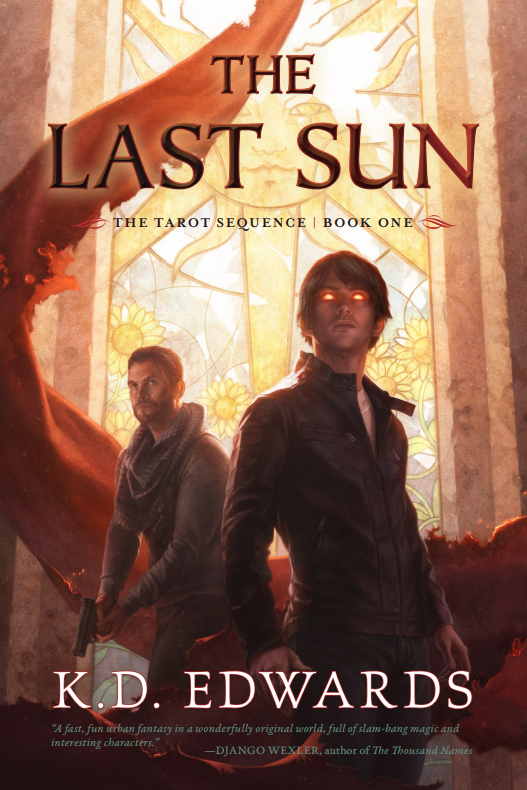 THE LAST SUN's cover has been revealed! See KT Literary for more details: http://ktliterary.com/2018/02/debut-author-k-d-edwards-presents/. 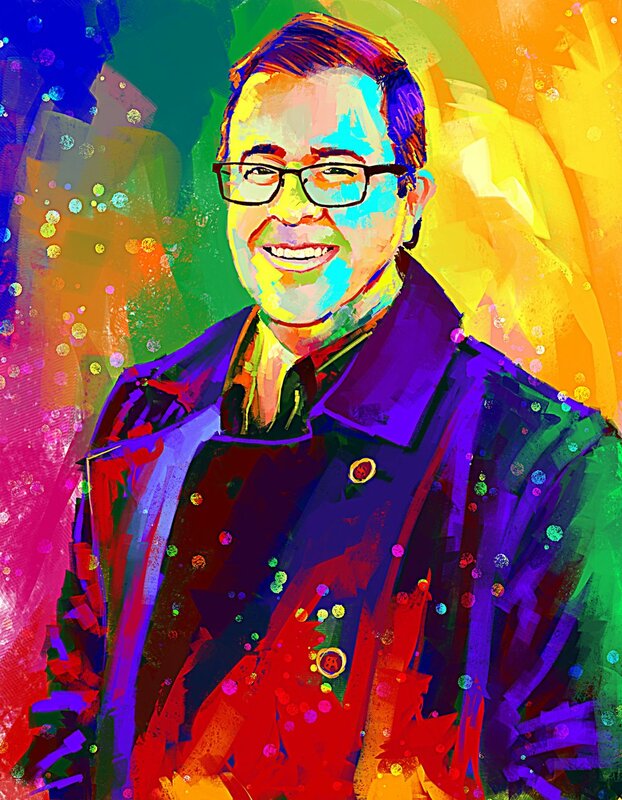 Many, many thanks to the brilliant Micah Epstein (micahepsteinart.com). ANNOUNCEMENT: Now Co-Represented by Kim Yau at Paradigm for media representation. K.D. is excited to be working with Kim Yau at Paradigm for potential entertainment sales of TAROT ACCOUNTS. K.D. has sold the first two novels in the TAROT ACCOUNTS series to Audible. K.D. is ridiculously thrilled to sell the first two novels in his TAROT ACCOUNTS series to Rene Sears at Pyr. K.D. is thrilled to announce that he is now represented by Sara Megibow of kt literary. Mercifully short careers in food service, interactive television, corporate banking, retail management, and bariatric furniture has led to a much less short career in Higher Education. The first book in his urban fantasy series THE TAROT SEQUENCE, called THE LAST SUN, will be published by Pyr in June 2018. K.D. is represented by Sara Megibow at kt literary, and Kim Yau at Paradigm for media rights. K.D. Edwards writes adult and YA urban fantasy. Something really really good will go here soon. Something even BETTER will go here. Just you wait. It may be a challenge to say three good things. This may eventually be a knock-knock joke. K.D. Edwards is represented by Sara Megibow of kt literary. Thank you for contacting K.D. Edwards. He will respond to your query as soon as possible. Powered by Squarespace and built by Rhett King.